Titus is most likely the second of three letters written that are often called Paul’s Pastoral Epistles (1 Timothy, Titus, and 2 Timothy). In this letter, Paul addresses Titus, whom Paul converted at some point during his First Missionary Journey. Titus was a Gentile (non-Jew) who chose not to be circumcised when he became a believer and thus became for Paul an example of the freedom from the Old Testament law Christians enjoy in Christ (Galatians 2:3-5). Titus joined Paul on his Third Missionary Journey and became a trustworthy representative of Paul and of the gospel, guiding the congregation in Corinth through some issues (2 Corinthians 2:13; 7:6-15; 8:16-24; 12:16-18) and then later being tasked to do the same in Crete (Titus 1:5). The population of Crete was always a mixed one (see Homer’s Illiad and Odyssey in which Homer speaks of Crete’s countless men of different races and its hundred cities). 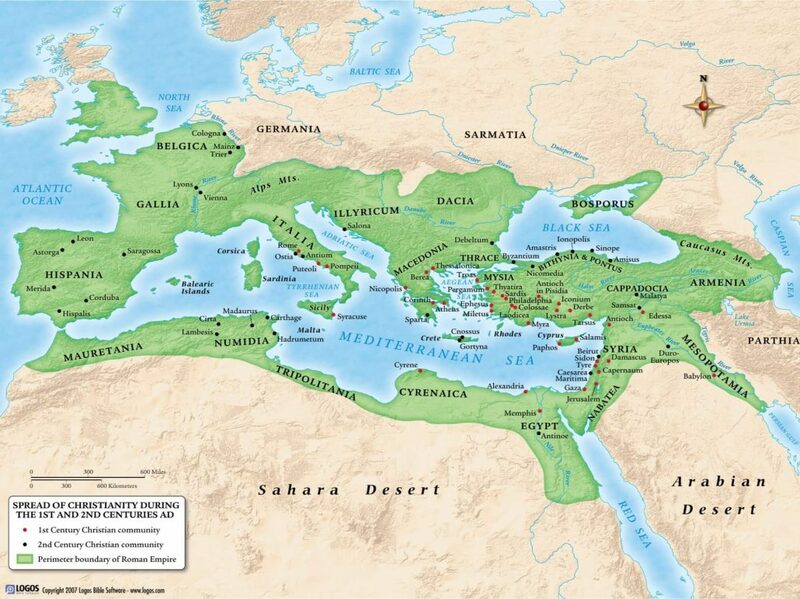 In the first century BC Crete was known as a center of piracy. Since 67 BC it was part of a Roman province with a mixed population of Roman officials, native Cretans, and a considerable colony of Jewish traders. Its inhabitants had a bad reputation for treachery and the love of money (the Greek verb kretizo meant to lie as a Cretan does). The island of Crete apparently had several groups of Christians, but their organization was incomplete (Titus 1:5). It’s possible that Christianity was first brought to Crete shortly after the Day of Pentecost (Acts 2:11). It appears that false teachers, possibly converted Jews (Titus 1:10), were bringing in false teachings that affected both doctrine (Titus 1:14) and life (Titus 1:15). For more information on the Pastoral Epistles and on Titus, see the introductory page for 1 Timothy as well as Titus’ bio page. The apostle reminds his disciple Titus that he had left him at Crete for the purpose of perfecting the organization of the churches on that island (Titus 1:5). According to Acts, however, Paul was on Crete but once, and that as a prisoner on his way to Rome (Acts 27:8–13). Luke does not mention that Paul met Christians in Crete on that occasion, nor would the apostle have been granted opportunity to establish churches or even to visit any congregations, if there had been any. It is impossible to discover any opportunity during Paul’s journeys to have made a side trip to Crete that had been left unrecorded by Luke in Acts. Besides, the apostle nowhere else mentions a plan to pass the winter at Nicopolis (Titus 3:12).1Schaller, John, Loren A. Schaller, and Gary P. Baumler. The Book of Books: A Brief Introduction to the Bible. The People’s Bible. Milwaukee, WI: Northwestern Pub. House, 1990. 264. However, this does not mean that the apostle Paul did not write the Pastoral Epistles. In fact, these separate events could actually help support Paul being the author. If these letters were written and falsely attributed to Paul, one would assume the person writing in Paul’s name would have used events and locations that matched widely known facts about Paul’s life. Instead, what we have seems to point to Paul’s missionary activity after the book of Acts and after his earlier letters had already been written. For more information about the apostle Paul, see also his bio page as well as the Chronology of Paul’s Ministry. The apostle Paul was released from his first Roman imprisonment and presumably conducted a fourth missionary journey. 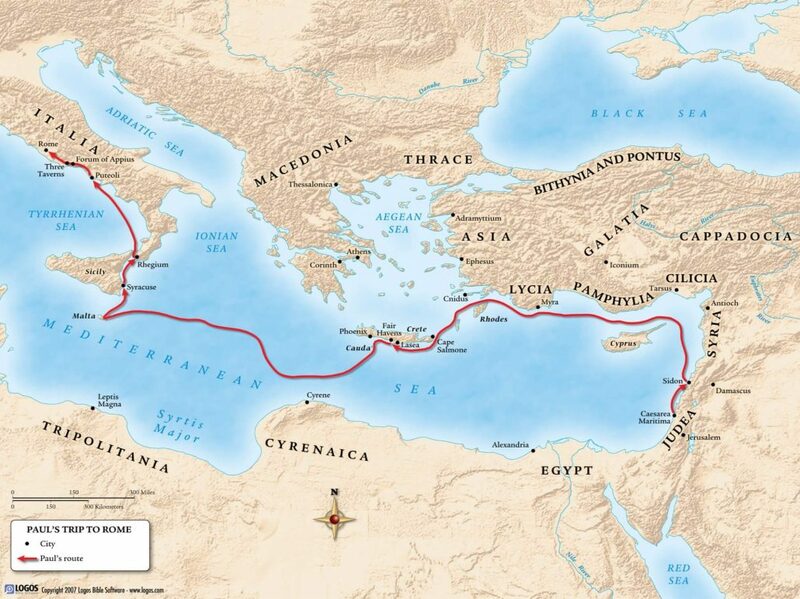 During this fourth journey it appears he works in Crete and leaves Titus behind to further develop the church there while he continues his journey, eventually planning to travel on to Nicopolis (Titus 3:2). While traveling, Paul writes this letter to Titus to give him some more guidance for his work in Crete. Paul’s first Roman imprisonment is dated to approximately AD 61-63. Reliable tradition reports that Paul was martyred during the Neronian persecution (AD 64-68), and therefore Paul seems to have conducted his Fourth Missionary Journey around AD 64-66, which is when he would have written this letter to Titus. For more information see the introductory page for 1 Timothy. As Paul continues his work of spreading the gospel, he needed to entrust reliable people with guiding and nurturing the churches he was planting while he continued his journeys. Titus became one of those people for Paul, and so Paul leaves him in Crete to guide and encourage the church there. Paul then wrote this letter to Titus to give him instructions for selecting church leaders (Titus 1:5-9), for confronting false teachers (1:10-16), for rebuking believers who fail to live godly lives (Titus 1:10-16), and for encouraging various groups of people to live self-controlled lives filled with Christian love (Titus 2:1-10; 3:1-2). In order that Titus might properly motivate the people to do so, Paul reminds him of the grace of God through Christ and of the renewal brought by the Holy Spirit that make such living possible (Titus 2:11-14; 3:3-8). 1. ↑ Schaller, John, Loren A. Schaller, and Gary P. Baumler. The Book of Books: A Brief Introduction to the Bible. The People’s Bible. Milwaukee, WI: Northwestern Pub. House, 1990. 264.